You wanna be a mummy blogger?! ‘You wanna do what? !’ Grumpy boyfriend can’t contain his surprise when I eventually dare talking about my new project. I want to write a blog about being a young mummy in London. Totally perplexed at first, he then laughs so much he nearly chokes. I knew it. I knew he would immediately take the mick out of me. Grumpy Boyfriend is quick at reading in my mind. ‘Do it, as long as you have fun. But I won’t have time to help you. I am mega busy with work’. ‘Merde, I am on my own with this one… Pas de problème! I can easily find a tutorial online and work it out by myself. Grumpy Boyfriend to continue, ‘You will probably need to be on Twitter and Instagram as well’. Double whammy; more stuff to discover and learn. I am a big girl, I can do it. After all, before staring my teacher training, I never ever PowerPoint and I am (kind of) an expert now. I admit, sometimes I am still not quite sure with some options, but I am merding so much (Merde! Putain! ), Grumpy Boyfriend comes to the rescue and fixes it for me. Well, that I not the reaction I was hoping for. I have been thinking about writing a blog for a while now. It’s not encouraging to see Grumpy Boyfriend laughing at me as soon as I dare talking about it. But he is not the only one not being super enthusiastic. When I tell ma copine R, she is far from being excited either. ‘Yeah, cool. Apparently, a lot of chicks are doing that kind of stuff. What are you doing on Thursday?’ So blasée… She also asked me if I plan to write in French. Nope. ‘Why not?’ I am afraid I can’t answer this question. I just decided so. I know it’s stupid, especially when I am calling myself the Frenchie Mummy right? I will sometimes use some French. I start feeling frustrated. Why on earth nobody is showing some kind of excitement or at least some support? Wouldn’t hurt at the moment, really… I do some research. Blogging, vlogging (or whatever online revolution I haven’t heard of yet) is massive at the moment. Indeed, there are 76.5 million blogs on WordPress. And I was thinking that I would be different from the other mummies… But the good news is that 232 million people use Twitter. Surely, I can find my audience amongst ce petit monde? Next to know the great news is my beloved mum. ‘Ouh Là Là! Mais tu as trop de travail avec Baba et la maison!’ Funny that she says that I am way too busy to start this kind of project. What mum really means is that I should do more housework. I imagine her very well: ‘Mais quel désordre ici!’ Mum probably thinks that I should get on with the hoover. And cook de bons petits plats for Grumpy Boyfriend. I admit, I am not the tidiest person on the planet, but I don’t want to spend my year off work just cooing at Baba and cleaning the windows for the third time in two months. Just an example, I barely clean them once a year anyway. All these doubts are just giving me the biggest headache ever now. Zut! I am going to write this blog and nothing can stop me anymore. Je m’en fous if people think it’s absolutely rubbish (I do actually care, but I will pretend the opposite). Let’s do it. Un, deux, trois… Here we go, I published my first post. Baba is smiling at me in his bouncer. It’s a good sign (Let’s hope!). thanks how long have you been blogging then? I just do it to have a bit of fun. Let’s see how it goes ? Well I for one like your blog and learning lots of lovely new swears I can use without getting death-dagger stares from passing mamans. Tell me, is putain the french word for a naughty lady?? go for it, swear in French. People always tell me how lovely it sounds when I talk to Baba even if it’s bad words. So Funny ? I hope the French words are not too difficult? I thought that would be funny but now I am thinking a lot of people won’t bother searching for them…? I am sure you can understand very well. Well, I’m enthusiastic for you even if others aren’t!! Welcome!! And I’m a newbie too. Fantastic post!!! You’re a fabulous writer, and to think it’s your second language – amazing! Good luck frenchiemummy! I am also very new to blogging trying to figure it all out. Welcome to you! I felt the same as you 18 months ago. No regrets, it’s such a rewarding experience and it’s an outlet – you can vent! The blogging community is so friendly and I’ve made some great friends! There are lots of bloggers who help out too and I’ve even seen those who offer to be mentors. Get your support from the blogging community because we all support one another and it’s great! 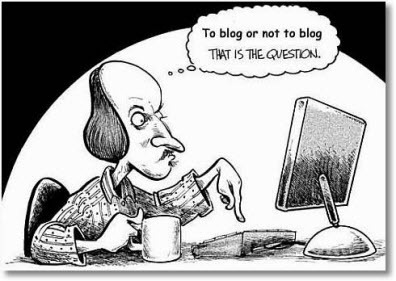 Welcome to the world of blogging – you will love it or hate it, much like marmite!! there is no in the middle! I started last January and love it, I can’t believe how quickly it’s gone and how much I’ve learnt. And I’ve done it all on the go! looked at your blog, you seem to do very well. How fantastic! Well done. Je m’en fous indeed! I had the same thoughts…and similar reactions too! I feel in good company! I worked it out and many other things. Thank god for that they have video tutorials for dummies like me 🙂 I checked your blog before and you seem to get on really well with all this stuff.? Merci I am blushing… I love compliments!? ahahaha, just pretending very well. OMG I like being called a goddess. I need to show that to Grumpy Boyfriend. Not sure he would agree with you ? I will! He will be gutted ? Majority of bloggers are supportive and willing to help out. You’ll get the hang of it as you go along, but your blog looks stylish and has lots of white space around it and large type to help the reader. thank you very much for saying that. ? Happy to see you like bad words in French! ? Congratulations on your first blog! I think you have done awesomely well. Keep it up and don’t worry too much what others say – just go with your guts.
? of course French is not odd… Did you encounter again the crumpets’ thief? I went to M&S yesterday and thought about you ? My hubby told me to find a hobby so I did. I just never expected it would become so consuming of my free time. 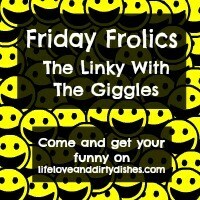 Like every free moment I get that I don’t need to attend to something else is spent on my blog. Even here sitting at the beach on vacation I’m trying to catch up on 2 weeks of commenting and failing miserably. 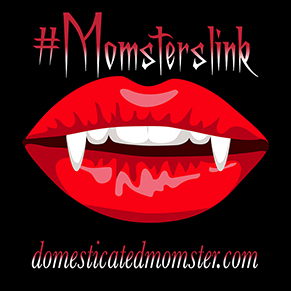 Thank you for linking with #momsterslink and don’t let that boyfriend discourage you…you can do it. I started from scratch knowing nothing and my 43 year old brain is learning something new everyday! Thanks, I think now Grumpy Boyfriend is starting to realise that I am not bad at it ☺ when he saw the comments and how many people read my post. My brain is learning a lot of things too. Thank you so much for taking the time to write such long and love comments on both my posts while on holidays! You’re most welcome! I also shared on Twitter, Google+ , Pinterest, and StumbleUpon ?? That’ll teach Grumpy Boyfriend and all the other doubters. Hi keep it up girl! I started my blog for me and my kids and if anyone jumps in and has a read…bonus! Your writing is fab, interesting, personable, funny so yeah I’m hooked. 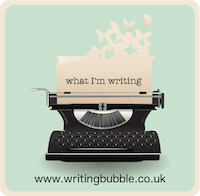 My blog is in desperate need of a sort out – it’s top of my to-do list on a child-free day next week! I’m @another10things on Twitter. Love this post 🙂 I hope you are proving the grumpy boyfriend wrong and very much enjoying the blogging game. And if you ever work out the tech stuff please let me know… I’ve been in this for over two years now and I still don’t have a clue! Thanks for stopping by. I think I will be very much like you, trying to work out so stuff ? Lucky you have the blog community for support. I think people can’t really get that excited if they don’t understand it. It’s such a good outlet for creativity and also for documenting things. I think of it like a diary. Good on you for finding all this stuff out on your own. A lot of people would have given up by now. Life’s too short to clean. 😀 It sounds like you’re doing this for yourself, so I say that means you’ll definitely be a success! Good for you! Good luck… blogging is fun… enjoy!